Traditional salt-forming screening strategies to promote aqueous API solubility, for example, have employed inorganic or small organic counterions. 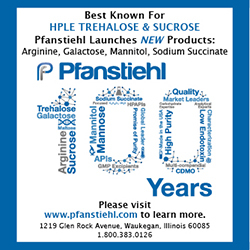 In oral drug delivery, the most commonly used counterions over the past three decades include hydrochloride, maleate, mesylate, and phosphate for basic drugs, and calcium, magnesium, potassium, and sodium for acidic drugs.2 More recently, there has been a growing interest in lipophilic salt forms that exhibit lower melting points than respective free acid/base forms, particularly those that have a melting point or glass transition below 100°C.3 Such materials may be referred to as “Ionic Liquids,” which were first described by Paul Walden in 1914 who reported that the salt, ethylammonium nitrate with a melting point (Tm) of 12°C, was physically stable in the liquid state at room temperature. As described in this short review, it is possible to prepare lipophilic salts and even Ionic Liquid forms of a range of APIs for the purpose of formulating these in concentrated lipid formulations ready for oral delivery. 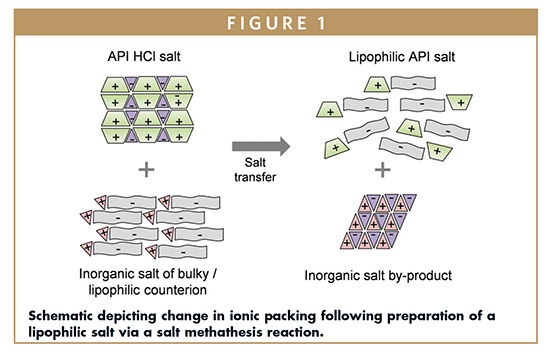 Preliminary in vitro and in vivo studies also indicate that this salt selection approach is enabling to lipid formulations by supporting substantially higher loadings (>10-fold in some cases) than otherwise possible using free API. The use of lipophilic salts therefore grants a greater number of API access to the well-established benefits of lipid formulations by, for example, overcoming certain product design constraints, such as the number and/or size of dosage unit. It is also possible to isolate salt forms of an API that exhibit depressed melting points relative to the free acid or base, and those salts that meet the ionic liquid definition (Tm/Tg < 100°C) have been described as active API-ionic liquids (API-ILs). Here, we use the term “lipophilic salts” to describe salts (including API-ILs) that exhibit higher solubilities in commonly used lipid vehicles in comparison to the free acid or base API form. Across these explored applications, Table 1 lists some example lipophilic salt forms that have been described in the literature, alongside respective melting points (Tm) or glass transition (Tg) temperatures, and the reported advantage of the novel salt form. This list exemplifies the potential of forming lipophilic salts and sometimes ionic liquids from a range of both weakly acidic and basic API. It also demonstrates that these unique salt forms may be formed from a number of different counterions that have past or current applications in drug delivery. The formation of a tightly packed crystalline structure in conventional, high-melting point salts is driven by the reduction in entropy and formation of strong electrostatic interactions between oppositely charged ions that result in high enthalpy. In contrast, due to a more disordered state, lipophilic salts have higher entropy. Stability in this more disordered state can, however, be achieved if electrostatic forces between anions and cations are sufficiently weak to offset the higher entropy. Common features of anions and/or cations designed to minimize the strength of electrostatic forces and depress melting therefore include (1) larger ions to increase distance between intercharge distance and to introduce asymmetry, and (2) lower charge density (due to charge delocalization) to decrease charge magnitude.4 Along with electrostatic forces, the hydrogen bonding potential between ions can be intentionally minimized to further reduce melting temperatures, for example, by using hydrophobic ions such as alkyl sulfates or alkyl amines. Different techniques have been employed to synthesize lipophilic salts, though a great many have been prepared by salt metathesis reactions, for example, using a hydrochloride salt of a weakly basic API and a sodium salt of a bulky/lipophilic anionic counterion (Figure 1). Driven by the formation of an inorganic salt by-product and the differential solvent solubility of the reaction products, a salt interchange proceeds, yielding the low-melting salt of basic API and acidic counterion dissolved in the solvent phase. Following removal of the solvent, salt formation may be confirmed through 1H NMR and/or infrared spectroscopy. Thermal tests, for example DSC, are then performed to determine the salt melting point/glass transition temperature, particularly to determine if it qualifies as an ionic liquid. Additional tests include; microscopy and/or XRD to define the physical form of the salt, NMR and/or TGA combined with gas chromatography to probe for residual solvent that may have carried over from the metathesis reaction into the recovered salt. Indeed, confidence that solvent level is low/negligible is particularly important since the presence of solvent may result in depressed melting point. If significant solvent levels are detected, refinement of the synthetic process or longer drying times may be needed. Recrystallization studies to explore the propensity for different salt physical forms may also be performed. While there is interest in using lipophilic salts in oral delivery, far less focus has been placed on identifying suitable delivery approaches for these API forms. Indeed, the low-melting and sometimes liquid-like nature of these salts (Table 1) make incorporation into standard dosage forms, such as tablets or powder-filled capsules, particularly challenging. On the other hand, lipid-based formulations have precedence in the delivery of low melting, lipophilic actives [as liquid or semi-solid filled capsules], for example, dronabinol (Marinol®), fish oils, polyunsaturated fatty acids, and crude biological extracts. The potential to use lipid-based formulations to formulate lipophilic salts, including API-ILs, was first shown by researchers at Monash University in Melbourne, Australia, in a pivotal in vitro and in vivo study.13 This study not only showed that API-ILs could be effectively absorbed from lipid formulations, it revealed their strong synergy with lipids; API-ILs were substantially more lipid soluble in comparison to the free API and, thus, enabled much higher loadings in the lipid formulations. This enhanced lipid solubility of API-ILs is illustrated in Figure 2 for four weakly basic APIs, namely cinnarizine (Tm = 118°C), itraconazole (Tm = 170°C), halofantrine (Tm = 79°C-82°C) and dextromethorphan (Tm = 111°C). In each case, when combined with an acidic lipophilic counterion, an API-IL was formed that, in turn, exhibited markedly higher solubility in a self-emulsifying lipid formulation (SEDDS) in comparison to the free base form. For example, the solubility of cinnarizine free base in the SEDDS was only 43.2 mg/g, whereas the solubility of the API-IL cinnarizine decylsulfate (Tg = 7°C) was > 300 mg/g, when expressed as cinnarizine-free base equivalents. 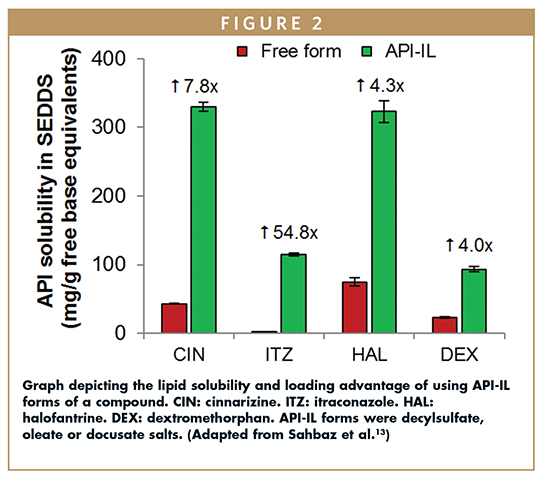 The use of API-ILs enabled in vivo dosing of highly concentrated SEDDS-type formulations, whereas in comparison, equal doses of free base APIs could only be dosed as suspension formulations. As illustrated in Figure 3, at a 125 mg/g loading, the API-IL containing SEDDS yielded 2-fold higher cinnarizine plasma exposure over the SEDDS containing free base API (lipid suspension), and 3.5-fold higher exposure compared to an API free base aqueous suspension. 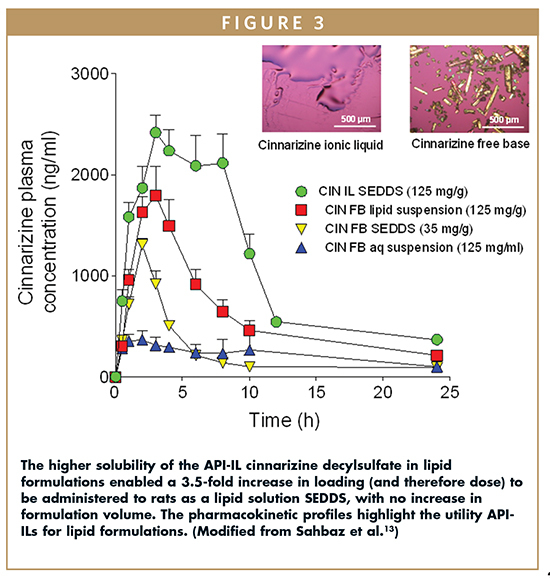 Figure 3 also highlights the increase in exposure on increasing cinnarizine loading in the SEDDS ~3.5 fold from 35 mg/g (the maximum loading for the free base API) to 125 mg/g when using the API-IL form and with no increase in formulation volume. Transformation of API into more lipid-soluble salts is not only limited to poorly water-soluble compounds. For example, the solubility of dextromethorphan in the SEDDS increased from 23.5 mg/g to 93.3 mg when an API-IL form (dextromethorphan decylsulfate, Tm = 62°C-68°C) was used (Figure 2). We define lipophilic salts as salts having increased solubility in lipidic vehicles relative to free base or acid API form. Inclusive in this definition are APIionic liquids (salts melting below 100°C) because melting point depression can promote solubility in non-aqueous vehicles. Lipophilic salts are being explored in a number of different areas, and as overviewed in this article, one interesting application is their potential to boost API loading in lipid formulations. Lipid formulations have proven applications in enhancing oral bioavailability and providing a rapid onset of action. Access to more lipid-soluble forms of API broadens these applications of lipid formulations as increased lipid solubility allows higher API loadings and therefore the need for a fewer number or smaller size dosage forms. As this increase in solubility is achieved with no covalent change in the API structure, the use of lipophilic salts does not raise the same questions of receptor promiscuity and potential off-target toxicity that are commonly associated with intrinsically lipophilic molecules (since the lipophilicity of the API remains unchanged). Lipophilic salts may be also be prepared using alkyl sulfates, docusate, and fatty acid-based anionic counterions, which have wide use in oral drug products, either as counterions, excipients or excipient components. Capsugel Dosage Form Solutions continues to invest heavily in its bioavailability enhancement technology platform, which includes spray-dried dispersions, hot-melt extrusion, particle engineering/nanocrystal technology approaches, in addition to lipid-based solutions. We have established a Capsugel-Monash collaboration specifically with the objective of furthering our understanding of lipophilic salts and their applications. For example, we are currently exploring in greater depth the biopharmaceutical aspects of lipophilic salts and the impact of lipid formulations, while we are also confirming that our formulation development approach based on our proprietary lipid expert system21 fits with lipophilic salt forms including API-ILs. 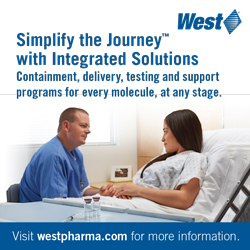 With this knowledge, we will be able offer our customers rational design of lipophilic salt formulations to support for preclinical and clinical testing of poorly water-soluble drugs, where lipid-based formulations are determined as an optimal approach or to support new product opportunities for existing API. 1. Berge SM, Bighley LD, Monkhouse DC. Pharmaceutical salts. Journal of Pharmaceutical Sciences. 1977;66(1):1-19. 2. Paulekuhn GS, Dressman JB, Saal C. Trends in active pharmaceutical ingredient salt selection based on analysis of the orange book database. Journal of Medicinal Chemistry. 2007;50(26):6665-6672. 3. Shamshina JL, Kelley SP, Gurau G, Rogers RD. Chemistry: Develop ionic liquid drugs. Nature. 2015;528:188-189. 4. Plechkova NV, Seddon KR. Applications of ionic liquids in the chemical industry. Chemical Society Reviews. 2008;37(1):123-150. 5. Williams HD, Sahbaz Y, Ford L, Nguyen TH, Scammells PJ, Porter CJ. Ionic liquids provide unique opportunities for oral drug delivery: structure optimization and in vivo evidence of utility. Chemical Communications. 2014;50(14):1688-1690. 6. Carrera GV, Zakrzewska ME, Nunes AV, Branco LC. Solubility of Bioactive, Inorganic and Polymeric Solids in Ionic Liquids—Experimental and Prediction Perspectives. 2015. 7. Kumar V, Malhotra SV. Synthesis of nucleoside-based antiviral drugs in ionic liquids. Bioorganic & Medicinal Chemistry Letters. 2008;18(20):5640-5642. 8. Stoimenovski J, MacFarlane DR, Bica K, Rogers RD. Crystalline vs. ionic liquid salt forms of active pharmaceutical ingredients: a position paper. Pharmaceutical Research. 2010;27(4):521-526. 9. Balk A, Widmer T, Wiest J, et al. Ionic liquid versus prodrug strategy to address formulation challenges. Pharmaceutical Research. 2015;32(6):2154-2167. 10. Shadid M, Gurau G, Shamshina J, et al. Sulfasalazine in ionic liquid form with improved solubility and exposure. Medicinal Chemical Communications. 2015;6(10):1837-1841. 11. Bica K, Rijksen C, Nieuwenhuyzen M, Rogers RD. In search of pure liquid salt forms of aspirin: ionic liquid approaches with acetylsalicylic acid and salicylic acid. Physical Chemistry Chemical Physics. 2010;12(8):2011-2017. 12. Miwa Y, Hamamoto H, Hikake S, Kuwabara Y. A Phase I, randomized, open-label, cross-over study of the pharmacokinetics, dermal tolerability, and safety of MRX-7EAT Etodolac-Lidocaine Topical Patch in healthy volunteers. The Journal of Pain. 2013;14(4):S72. 13. Sahbaz Y, Williams HD, Nguyen T-H, et al. Transformation of Poorly Water-Soluble Drugs into Lipophilic Ionic Liquids Enhances Oral Drug Exposure from Lipid Based Formulations. Molecular Pharmaceutics. 2015;12(6):1980-1991. 14. Moreira DN, Fresno N, Pérez-Fernández R, et al. Brønsted acid–base pairs of drugs as dual ionic liquids: NMR ionicity studies. Tetrahedron. 2015;71(4):676-685. 15. Gasparotti FA. Lidocaine derivative and therapeutic compositions which contain it as principal active ingredient. S4891386 A; 1990. 16. Williams HD, Pondaven S, Igonin A, Benameur H. Chemical and solid-state characterization of active pharmaceutical ingredient−ionic liquids (API−ILs): Fexofenadine lauryl sulfate. Annual Meeting of the American Association of Pharmaceutical Scientists; 2015; Orlando, Florida. 17. Dean PM, Turanjanin J, Yoshizawa-Fujita M, MacFarlane DR, Scott JL. Exploring an anti-crystal engineering approach to the preparation of pharmaceutically active ionic liquids. Crystal Growth and Design. 2008;9(2):1137-1145. 18. Hough-Troutman WL, Smiglak M, Griffin S, et al. Ionic liquids with dual biological function: sweet and anti-microbial, hydrophobic quaternary ammonium-based salts. New Journal of Chemistry. 2009;33(1):26-33. 19. Ferraz R, Branco LC, Marrucho IM, et al. Development of novel ionic liquids based on ampicillin. Medicinal Chemical Communications. 2012;3(4):494-497. 20. Balk A, Wiest J, Widmer T, Galli B, Holzgrabe U, Meinel L. Transformation of acidic poorly water soluble drugs into ionic liquids. European Journal of Pharmaceutics and Biopharmaceutics. 2015;94:73-82. 21. Jule E. Accelerating Lipid-Based Drug Formulation Through Application of an Expert System. Capsugel White Paper. 2013. Dr. Hywel D. Williams is a Principal Scientist at Capsugel R&D Australia. His primary role is to explore new drug delivery technologies that address formulation and biopharmaceutical challenges to development. He is a qualified Pharmacist, with a PhD in Pharmaceutical Sciences from the University of Nottingham, UK, and is an Adjunct Research Fellow at Monash University. Dr. David Vodak is Senior Director, Pharma R&D at Capsugel, where his responsibilities include overseeing the development of new pharmaceutical delivery platforms, including bioenhancement, particle engineering, and functional modified-release platforms. He earned his BA in Chemistry from Willamette University and his PhD in Materials Science from the University of Michigan-Ann Arbor. Dr. Hassan Benameur is Senior Director, Pharmaceutical Sciences at Capsugel with over 20 years of expertise in advanced drug delivery development. 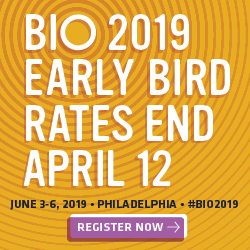 Dr. Benameur’s expertise is in novel polymer applications for drug delivery and optimized lipid-based formulations for enhanced absorption to maximize success and reduce attrition in pharmaceutical product development. He is a Chemical Engineer and earned his PhD in Pharmaceutical Sciences from the Free University of Brussels in Belgium. Dr. Annabel Igonin is Senior Manager, R&D Pharmaceutical Drug Delivery and New Technologies, at Capsugel’s Strasbourg, France, facility. She leads key R&D initiatives for novel lipid-based formulation technologies for bioavailability enhancement with challenging APIs and the development of Rx and OTC products. Dr. Igonin earned her Pharmacy degree from the University of Lyon, France.